I really thought I might die. My heart was pounding through my chest. Over 50 and over weight didn’t help…I felt like a heart attack just waiting to happen. Reluctantly I looked across at the dive leader and made the thumbs up sign, that we had been taught that morning would indicate I needed assistance and had to get to the surface fast. Damn! I felt so foolish. And I was interrupting the dive for all the others in the group. What an idiot! But this was starting to get seriously scary… no time for heroics. Hey, I’m no ‘wimp’ don’t get me wrong. I’ve had near death experiences before, plenty of them. At 5,000 feet with a parachute that seemed reluctant to open, descending a mountain peak in a white out, and at ground level facing a man seriously intent on seeing me dead. In all those cases my training had seen me through without any major problem. But this was different. Because I didn’t know what to do. And I didn’t even know what was going wrong! I had no idea of how to save myself from this situation that seemed to be spiralling out of control really fast. And the thing that made me so mad? There was bound to be a very simple technique to avoid the situation I found myself in. Continually sinking down onto the coral, and then swimming upward like crazy to keep off it, only to sink back down again. Now if you’re a Scuba diver, you’ll know very well what the answer was. A simple thing that every rookie diver is taught. It’s diving 101 stuff. It’s how you maintain the right buoyancy when under the water. Incredible as that may seem. 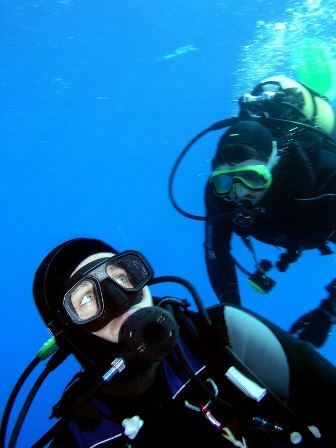 On this ‘try diving’ trip, we had about 5 minutes’ instruction on the gear, followed by hanging off the back of the boat to show that we could ‘clear our masks’ under-water. And then we were off. At first hanging off an instructor, and then on our own playing ‘follow my leader’. My introduction to diving had missed one key bit of information. How to maintain my buoyancy? And as a result I had a very scary experience. OK, so what’s the link with Supply Chain Management you might well ask? Well it might not be so ‘life and death’ but I see people all the time really struggling. Struggling with their careers and with their Supply Chains. And the sad thing is, rather like that day on the Great Barrier Reef for me, they just need a key piece of knowledge. A piece of knowledge, that might be really basic and simple, but it will ‘unlock the door’ for them. Knowing that we lack knowledge is one thing. We can fix that. And fill the gap with mentoring, education and training. So what are those bits of knowledge that many working in Supply Chain don’t even realise, that they don’t know? What three would you pick? Just comment below. From the ones that you ‘know you don’t know’ of course. Because the ones you don’t even know that you don’t know…well you know what I mean! Three essential things to know, to boost your Supply Chain Performance and tips on reducing Supply Chain Costs. 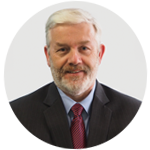 About The Author: Rob O’Byrne has 40+ years experience in Supply Chain management. In 1997, he founded the Logistics Bureau group, which has now expanded to provide consulting, performance benchmarking and education services. He even established his own Supply Chain ‘School’ in 2012 to follow his passion for education.